The Fall Planning and Zoning Forum offers participants a chance to discuss pressing issues in municipal planning and zoning with officials from across the state. The workshop will provide a dynamic mix of legal information, practical solutions, and policy discussions, as well as many opportunities to ask questions and share experiences. We are seeking AICP Certification Maintenance credits. In order for AICP members to claim credits you must attend the entire event. This workshop is designed for all local officials involved in the local planning and development review process. Zoning administrators, planning commissioners, DRB/ZBA members, town administrators and managers, municipal planners, and regional planning commission staff are all encouraged to attend. If you have any questions regarding registration, please call 800-649-7915. * Please include an additional $10.00 per person for registrations received after the deadline above. For a full refund, you must cancel in writing by the above deadline. WATERBURY, VT – The State of Vermont has received an extension from the federal government to distribute Hazard Mitigation Grant Program (HMGP) funds in connection with Tropical Storm Irene. The Vermont Division of Emergency Management and Homeland Security (DEMHS) is now accepting a new round of HMGP applications from towns and agencies in all Vermont counties. HMGP grants cover up to 75% of the costs associated with lessening the potential damage from a future disaster. Projects like flood-proofing of public buildings, culvert replacement, riverbank stabilization and many others have been completed in the past under the HMGP with local jurisdictions paying for 25% of the work. This is the sixth application period for funds made available to the state after Tropical Storm Irene. Since Irene the state of Vermont has approved $38-million in projects to municipalities and other eligible organizations. Due to federal rules, the exact amount of money available in this round is based on a number of contingencies, but could be between $2-million and $4-million. Other eligible projects include home or property acquisition (buy-out), structural elevations or relocations, and remediation of stream bank erosion, among others. Applicants may download the HMGP application from our agency’s website at http://vem.vermont.gov/mitigation. DEMHS staff will assist in the application process; towns can contact Ray Doherty, at 802 241-5258 or ray.doherty@state.vt.us, or Misha Bailey at 802 241-5362 or misha.bailey@state.vt.us for assistance. CVRPC staff is also available to assist Central Vermont towns with the application process – contact Kim McKee (email Kim) or Dan Currier (email Dan) at 802-229-0389. Deadline for applications is November 18, 2013. 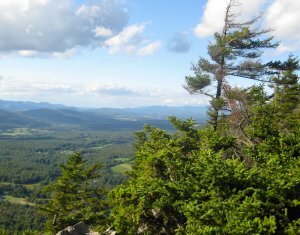 Applications are available for the 2014 Vermont Watershed Grants Program to fund projects that help Vermonters protect, restore and enjoy the state’s watersheds. Applications are due to the Vermont Watershed Grants office by Friday, November 22. “In light of the damage and lessons learned from Tropical Storm Irene and other recent Vermont floods, plus our ongoing efforts to better manage runoff containing nutrients and sediment, we are very interested in projects that implement practical measures or involve education affecting stream habitat protection, restoration, flood resiliency and related topics,” added Hopkins. Vermont Watershed Grants Program is a joint project of the Vermont Fish & Wildlife Department and VTDEC. The program is funded by sales of the Vermont Conservation License Plate. The program has funded close to 320 watershed projects statewide since 1998. For the 2014 program, $100,000 is available to fund three categories of projects. The three categories of project types and the maximum amount for each project type are: education and outreach ($7,500), planning, assessment, inventory, monitoring ($5,000) and on-the-ground implementation ($15,000). Applications for the Vermont Conservation License Plate are available on the Fish & Wildlife website: www.vtfishandwildlife.com/support_plates.cfm and at offices of the Department of Motor Vehicles. With Act 16 in 2013 Vermont has established flood resilience goals for municipal, regional and state plans. Beginning July 2014 new municipal and regional plans must include a flood resilience element that addresses the goals identified in Chapter 117 §4302. (14) To encourage flood resilient communities. (A) New development in identified flood hazard, fluvial erosion, and river corridor protection areas should be avoided. If new development is to be built in such areas, it should not exacerbate flooding and fluvial erosion. (B) The protection and restoration of floodplains and upland forested areas that attenuate and moderate flooding and fluvial erosion should be encouraged. A simple SharePoint website has been pulled together to support planners working on flood resilience. The site has links to data, suggestions, supportive contacts and early drafts. Please take a look and spread the word ! VNRC is very pleased to announce the release of Community Strategies for Vermont’s Forests and Wildlife: A Guide for Local Action. Over the years, VNRC has supported Vermont communities by offering proactive solutions to reduce forest fragmentation and parcelization in Vermont to maintain the rural character of our state. There are many different ways that communities can help sustain forests and wildlife at the local and regional levels, and the Guide provides town officials and interested citizens with details about the many implementation strategies - both regulatory and non-regulatory – to do just that. VNRC hopes that it will become a go-to resource for you. Please download a copy and share it with your communities, clients, constituents, and colleagues: www.vnrc.org/programs/forests-wildlife/guide/.